iOS 5: updated notifications? Microsoft's idea. Apple's iOS 5 was announced last night, and Microsoft wasted no time in taking credit for its arch-nemesis' mobile OS improvements. Joe Belfiore, director of the Windows Phone program, tweeted that he was "feeling flattered" over Apple's announcement. "Feeling flattered today. Lots of great WP ideas headed to iOS. (Camera button/above lock, auto-upload of pics, better notifications … )" reads the first tweet. He continued in a second message: "Feeling flattered today part 2 … Wi-Fi sync, built-in twitter, background download service, short messaging chats (though we do Facebook!)." Yes, Microsoft, with its long and glorious history of developing mobile phone operating systems, invented the camera shutter button, came up with non-annoying notifications, was the first company ever to think of integrating Twitter and was the actual inspiration behind iMessage. Gosh, and here we were thinking that these new features were mainly down to common sense. Well, common sense and Android. 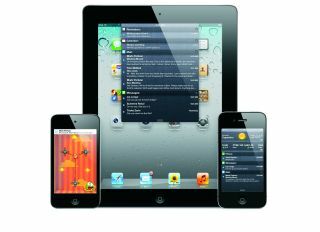 We're not the first to have noticed some similarities between the new features in iOS 5 and Google's mobile OS. Apparently Google owes Microsoft a thank-you note, too.